When I started broking in 1982 there were no personal computers let alone email or online broking. Everyone used full service broking because they had to. Now you don’t have to but the industry still exists and if you talk to most people about full service brokers they will immediately launch into the terrible experiences they have had with full service broking. Complaints like no contact, no follow through on an idea/trade, feeling like you are too small a client, feeling like you can’t ring in case you are bothering them and the main ones, losing money, no service and making more money on your own ideas than theirs. All common often valid complaints. So you have to ask why? Why do full service brokers still exist? I used to say (in 2007) that even as an experienced broker, if I was out in the wilderness doing something different and needed to trade the share market I still wouldn’t trade on line. I used the example that I don’t do my own dentistry so why would I be my own fund manager. But a lot has changed since 2007 let alone 1998 when online broking came in and now I’m not so sure. Would I use a full-service broker? The answer is that it depends, on whether they add value or not and I can tell you from much experience that some do and some don’t. Doing things on your own is possible in many instances (gardening, carpentry, accounting) but it takes time and interest and will not get done unless there is a passion. People don’t want to come home of a night and do another job (fund manager)….it is a burden. So they would prefer to have professional help. Not because it is something they can’t do (anyone can buy shares) but because it is something they don’t want to have to do. The unspoken truth about stockbrokers is that they offer something far more important than execution….they provide stock market investment and trading ideas, that takes focus, and on top of that they do, in many circumstances, provide a tremendous service as your financial shrink. Investment is an emotional thing. Have you ever lost so much you couldn’t tell your spouse (the edge of my envelope). When you do, who are you going to talk to? The chances are an experienced full-service broker knows how that feels, he also knows what it means when he sees you punching the air with how much your stock has gone up (it means “Sell!”). Over and above stock ideas this is a real value-add, having someone to talk to who is experienced, has seen a lot of it before and can hold your hand whilst you trip out. It is a mental support. Who knows, you may even get some good stock tips eventually as well. A broker is a human. Many people just like dealing with a human, they like having someone to pick up the phone to when they have a stupid, or any question (there are no stupid questions). The administration of share trading. Administration of share holdings – This is a real value add for some customers – the broker does a lot of admin. Some of the back office staff in a broking house are Masters of how the systems work and how to get around them. Financial planning – Not the average broker's forte although they have been forced to try 'Wealth Management' as their transaction based revenues have been decimated by online offerings. Its usually done by another person in the firm because the adviser has not financial planning training. Access to products like cash management trusts, margin lending and fixed interest. …and Sophisticated investor services (Excluded offers, placements). A bit further down the full service offering comes your full service broker’s own ideas and this is where you will have to judge from your own experience whether your broker is “any good”. But don’t expect to be spoon fed. The best ideas come from a meeting of minds. Two people can check each other’s exuberance and stupidity. It will not work if you delegate all responsibility. The ability to go to cash – This is a big value add – Most managed funds are hugely diversified which is how a fund manager beholden to a benchmark generally operates. They hold everything and fiddle at the edges whilst retaining most of the funds in the benchmark core. That condemns most managed funds to average returns at best, less the costs (of the fund manager’s BMW’s). Because of this diversification managed funds will generally only do well when the market does well. More importantly however, they will also do badly when the market goes badly and this is the bit you can improve upon using a broker. Fund managers do not go into cash. As an individual taking control of your own money, you can go to cash, instantly, it is an important differentiation between using a broker and a fund amanger. You lose that flexibility (to avoid the next GFC) when you give up responsibility to a fund manager. The cash or shares asset allocation debate is a constant discussion with a full-service broker.So far all these things are within the capabilities a professional functionary. Many broking relationships survive simply on this level. At this level there are no wild money making ideas or “trust”, just a conduit between what a broking house offers and its clients. A pleasant relationship – The problem with impatient clients is that they expect to get money making information first. This will not happen, never happen, unless the broker has a relationship with you. For the best chance of a good result you should expect to develop this personal relationship with your broker. A broker is very unlikely to take any initiative with you or your money unless he likes you (like any service industry) and vice versa, you will not contact a broker you don’t like or who makes you feel uncomfortable. For more on that see below. If you are having trouble with brokers and go through them like flies then stand back and have a good look at yourself. Maybe you are a bad client. New clients that have had a series of brokers flash warning lights to other brokers. Why have they failed with others? It’s not hard to keep a brokers interest. A client who has lost a broker is concerning, losing more than one is suspicious. The wrong attitude, poor settlement history, too small, too demanding, not experienced enough or more likely, too time consuming are all factors. Relationships with brokers do not appear because you demand, expect. No service provider responds to cold impersonal demands, they respond to mutual respect. If you abuse brokers with your generalisations at every dinner party you go to maybe they are not the problem. Maybe its you. Good service and added value happens over time because you get to know each other, understand each other and ultimately trust each other. It has been the same since man first walked the earth and remains the same in every industry. If you fail to relate to your stockbroker you will get a ‘professional’ service at best. Brokers see a lot of clients and they come in all sorts. Its lucky there are so many brokers to handle so may different clients because not all clients are suited to all brokers. Finding a suitable broker is essential, and if you don’t get on with your broker ask yourself why you don’t. Brokers are generally skilled in relationship management so if its not working you may need to take responsibility. Broking is a two way street. Just as he/she could be a crap broker, you could also be a crap client. If brokers won’t change for you, and you won't change for your broker, you need to change broker. You will get no value from brokers if the whole experience is an unpleasant one. If you have pre-conceived ideas about the competency of brokers in general, its as logical as racism, best you stay on line. 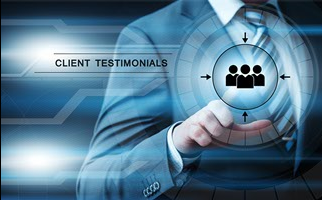 How to be a good client – Clients are a mixture of risk and reward for brokers. They have a lot of money, clearly know the stock market, big note how much commission they do but don’t have a broker. Why not? Complete novices – Brokers don’t have the time to babysit and worry with newbies. If stocks go down they have no idea how the client will react. Sue perhaps. Clients that constantly quote other advisors/newsletters/gurus – How to turn a broker off, constantly bounce someone else’s advice off them. Black Box systems – Go online if you want to rely on a black box system or mantra. 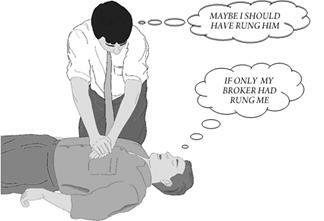 Execution only – People who just want to execute through full service brokers ring alarm bells. Online brokers have systems that don’t work if you are not compliant with their ‘money at call’ requirements. Full service brokers have some discretion with settlement compared to a computer system. So if you are coming to a full service broker for execution only the risk opfr the broker is that you just want to abuse the T+3 settlement rule (ie. get free credit). Clients that ask for your commission rate rather than your qualifications. They are likely to be small traders. You get what you pay for in life. If you want to trade for nothing then bugger off. In the current compliance environment, clients can quickly become a liability to a broker when they were supposed to be an asset. Settlement risk is a big issue these days. Play the game. Don’t expect to deal without money in the bank. Any broker who trades for you is trusting you to settle. It shouldn’t be an issue. Don’t let it. You may not realise, but most broker dealers are personally liable to settle their client’s trades if the client doesn’t. You cannot expect them to underwrite your punting with their family mortgage. So play the game and don’t be surprised if your relationship, and the value it delivers, crumbles when you don’t. There are a few other things about clients that ring alarm bells with brokers. Being a "big trader" without a broker. A reluctance to meet. PO Boxes. No land line. Anonymous email addresses. Settlement without a cash management account. Picking up cheques from reception. Many previous brokers. No discussion about family. No interest in you personally. Someone who keeps their distance. Someone who buddys up too quickly. It’s a minefield, all of which can be overcome by just being straight and normal. They don’t trade the market themselves. It implies they are not passionate about the market, not seasoned and haven’t been through the mental hoops you will be put through. How can they possibly advise you if they don’t live it themselves. They don’t reciprocate on your attempts at relationship building which implies they have no concept of risk. They emphasise the minimum commission rate rather than explaining their service. If brokers open with their commission rates and negotiate them it implies they see themselves as performing an execution rather than advice function. They don’t value their service so why should you. You might as well be online. They take it fast not slow (see you as a quick kill rather than a long term mutually profitable relationship). Then there are two other essential services. One…a hand to hold in times of trouble. Your own personal stockmarket shrink. Essential objectivity which is not, by definition, possible alone. And Two…access to someone with stockmarket experience. The stockmarket is all about going through hoops, financial and emotional, and who better to talk to than someone who has been through them all before. Experience is something that can be very costly to acquire alone. And finally there comes trust and friendship, things that can endure for a lifetime and become more valuable than the money. Some of the people that work in the back offices of full service broking houses have been there twenty five years, pass their knowledge down through the ranks and have survived the cuts and attrition in the industry because they are the pillars, the very foundation of most stock broking houses. They are the unsung heroes that leave the Gordon Gecko stuff to lesser men. They have experience, patience and understanding and so deep is their knowledge that they keep the share registries in line rather than the other way around. If you’ve ever lost a HIN in an entity you can’t remember, tried to administer a deceased estate, not been paid a dividend or received the wrong number of shares through a DRP or have to change the settlement details for all your accounts at once then these are the people with the experience and integrity that you’ll need. Try getting your personal financial issues sorted by a 20 year old at the call centre of an online platform and see how far you get. You’ll soon understand why you’re paying $19.95 per trade. What is amazing of course is that most of the time full service brokers don’t actually charge for this service separately. Instead they fold this value add into the commission you pay on trades. You may think all you’re doing is paying for advice but you are also paying for a personal administration system like no other and for many this is half the value. One day a company will grab the high ground and dominate the financial administration function of private client investors much like REA Group or Carsales.com and I can guarantee that when they do it will be founded by the first broker to recognise the value in their back office and offer that to the world rather than to their clients alone. Someone already owns backoffice.com.au but you get where we’re going. You may have a relationship with ‘your broker’ but really you have a relationship with your adviser and a dealer’s assistant. All full service brokers have them. This is the person that answers the phone when ‘your broker’ doesn’t. This is the person that can (in most cases) do everything ‘your broker’ can except give advice. They co-ordinate all your requests, facilitate all your administration through the back office, execute your orders, clean up errors, iron out settlement issues, distribute research, invite you to presentations and generally give you the customer service that you deserve for your commission. Again, amazingly, brokers do not charge for their services directly and again, it is folded into the commission. But this is the second value add you don’t get for $19.95, a relationship with a human being that has a name and a phone number, a personality and a responsibility to handle your questions, requests, emergencies and crises. They are simply not available at $19.95 a trade. Pick a firm – I used to think it didn’t matter which broker you dealt with because they were all governed by the ASX and ASIC, all had to meet liquidity requirements every day, were all solvent and all incapable of default. I used to think they were a commodity, a headline licence that licensed individuals who essentially ran their own broking businesses under the headline licence. Then OPES came along and stole 66% of everyone’s money after a long receivership process. Terrain Securities also went into administration. More recently BBY fell over through its options exposures. So I was wrong. As usual I judged all brokers by my own standards. The firm you deal with clearly does matter. You cannot judge them as equals. So pick carefully. You are looking for integrity of management, integrity of systems and a business that focuses on you, the private investor, not a commercial business that just happens to have a broking licence and treats you as a target but makes you think you’re a client. I could name a few but they’d sue me. It isn’t easy to distinguish. I have seen the marketing brochures, they all present like a triple AAA rated global institution even though they are a retail broker in whoop whoop. To get through it all use word of mouth and use independent filters like the ASX website. Big or small? Big brand brokers are safer but small brand brokers often contain the more interesting advisers and advice. At the end of the day the successful client is the client that takes the time to develop a good relationship with an individual broker first, their firm second, and that takes time and the individual could be working anywhere. Needle in a haystack stuff but worth attempting. A long term trusted relationship with an engaged full service broker will pay huge dividends. Where it will go wrong is when they just want to sell you product, put you on an annual fee and ignore you. If you let them you are the perfect client, the pinnacle of the reward versus effort ratio. Will they be interested in me? If you approach a big successful broker you could be too small to be paid any attention, and even if you’re big you will find they milk you for wrap style fees and have no motivation to manage you, just keep you. The wrap brokers are not as keen as the commission orientated brokers. But being not so sharp may suit. Less risk, ignoring the noise, more long term, but the golden rule of full service broking is that have to get value for your fees. Buying you ten managed funds and then ignoring you is not adding value, that’s execution and you can do that yourself. The compliance stranglehold – It used to be that brokers were colourful characters that knew stuff and would tell you, their valued client, about it. They spoke in whispers and took risks. These days they have had their more creative talents hemmed in by compliance, a factor that has made the advice side of full service broker offering rather bland compared to what it used to be. I’m not sure it serves the client for the advice to be muzzled but that’s regulation for you and that’s the way it’s developed. Compliance gets in the way of brokers adding value. In other words they can’t tell you what they know and the more distant/new/unknown you are as a client the more bland the advice will be. The problem is that many get corralled into give you advice about di9versification and average returns. But anyone can access average returns these days through 3000 managed funds and the ASX listed ETFs and Listed Investment companies. 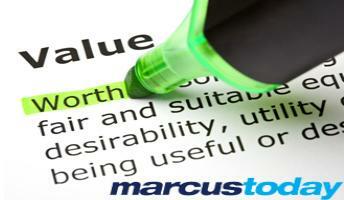 You don’t need a broker for that, you need them to add value, so what value are you getting? If you are getting the ‘average’ then you are paying too much. Understand their motivation. Ask a broker how he is paid. Some advisers are salaried and told to sell product. Others are paid on a slice of commission. Find out which. Only then will you understand their drive and the interest in you. Ask them also what makes a big client or a small client and try and assess where you sit on their list. Then you will understand whether you are going to get called or not. Whether you need to be more proactive and whether you are with the right adviser. You may not want to be the biggest client and you probably don’t need to be the smallest. But it’s interesting to know. Being a Liability. In the current compliance environment, clients can quickly become a liability to a broker when they were supposed to be an asset. Settlement risk is a big issue these days. Play the game. Don’t expect to deal without money in the bank. Any broker who trades for you is trusting you to settle. It shouldn’t be an issue. Don’t let it. You may not realise, but most broker dealers are personally liable to settle their client’s trades if the client doesn’t. You cannot expect them to underwrite your punting with their family mortgage. So play the game and don’t be surprised if your relationship, and the value it delivers, crumbles when you don’t. You’re lucky if you find a good broker. But you’ll know when you do. There’s one clear sign. They won’t want, or have time, to talk to you. Get a referral – The best brokers do not need to take cold calls. It’s a lot of effort breaking in a new client relationship and it can be a time wasting risk. In the current compliance environment clients are as much a liability as they are an asset and a new client is more risky than an old one. The good brokers have enough clients and do not want to talk to people they don’t know without a referral, they are dropping clients off their lists not adding them. So when you are looking for a broker from scratch ask other mates/investors who they use and whether they are successfully investing/trading with him/her. Get a referral/introduction to that broker. And if you are not high net worth being ‘low risk’, and pleasant, is just as important. For those who don’t have a lot of money then accept that it is a reality of the industry that if you don’t have a lot of money brokers will be less interested in talking to you. The best way around this is to go with a younger keener broker. The young kids sit in an environment of experienced brokers and just by listening can pick up a lot of what goes around. A keen, reliable newer broker can often give you a much better chance at good information than an old experienced one because he might just ring you. Young brokers can be the easiest to get started with, get on with and the easiest to get service from and a good service at that. Plus every broker remembers his first decent client and will ring you first for the rest of their career, and when you ring…will bend over backwards…because they choose to. Ring the Head of Sales – You need someone you have empathy with. I have cried for some of the client to broker mismatches I have seen in those meeting rooms over the years. Retirees matched with young inexperienced punters the most obvious. You need someone you are suited to. Quite often that’s an age thing. Broker relationships work best when you understand each other. When you ring a broker ask the person that answers the phone for the head of sales, explain to them your situation, and ask them to recommend to you a suitable advisor. Being prepared to move on – There are some real dummies in this industry and many more who you just won’t ‘click’ with. So don’t be afraid to move on. Most people don’t because they don’t want to be impolite, or they don’t want the conflict of telling someone it is not working. Don’t worry about that. Brokers have very thick skins and the chances are, if you’re not enjoying it, they won’t be either. Best you both move on. There are thousands to chose from. Its about compatibility not competency and it won’t happen immediately. Being interested – A lot of functional brokers simply buy you things, not watch too closely and not really do much more than respond if you call and if they do talk to you sell you whatever idea is in their head that day – which is forgotten tomorrow. If your broker is like this….HE IS NOT INTERESTED and you need to have a chat and ask him how to improve things. If you never show any interest he will be on to the client who is interested, interesting and who naturally trades more. So if things aren’t going as well as expected, before you chuck it all in, you should have a blunt chat about what you have to do to get attention, and if you can't do those things you need to move on. If you think brokers are going to take responsibility for your money and investment returns, think again. They will not. It is the individual’s responsibility to look after their money. If you show no interest then no one will show interest and the investments will wither on the vine once the initial investment and effort has been made. Time is money – There is a time versus money equation that exists in broking. How much time do you have to spend with a clinet for how much commission you get. An unfortunate fact of life. The first question I ask a prospective client is how much money they have. Its blunt but its truthful. If you are at the low end of the commission scale for the broker maybe you should be with a “smaller broker” that would pay you more attention. For brokers the hard truth is that small clients tend to be more trouble. You need to know where you sit on the time versus money chart…you don't want to be in the "painful time waster" section of the chart. Brokers almost never pass their clients onto someone else even if they are more suitable – Even if you would be better off with someone else the problem you have is that brokers rarely if ever hand their clients on to someone else. The broker would generally far prefer to keep you on his client list and pick up the occasional easy trade when you ring up to execute than hand you onto someone who would be more interested and active (and better for you). To change brokers you really have to force the issue. Send an email to him and the Head of Equities and tell them both you would like to change advisers whilst asking the head of sales to find someone more appropriate for you. The Head of Sales is more interested in total commission not the advisers individual commission take, so if you are going to do more commission with someone more up your alley they will happily oblige. But again, if you want to change broker the catalyst for change would have to come from you and you would have to be firm about it. Do they use a stop loss discipline. Brokers should know that half this game is about not cocking it up, about not losing money. The biggest mistake Private Investors make is losing money. Brokers are there to stop you losing money before they start trying to make you money. They are the hand of experience and they should display some focus on losses before they start selling you another position in a chase for profit. Some books on technical trading devote the bulk of their pages not to finding good stocks but to “Money Management” which includes assessing risk and knowing when to cut your positions. Too many brokers have no concept of that and instead just “fly by the seat of their pants” and get paralyzed when something goes into loss (Don’t want to phone you). Ask your broker if they employ some sort of stop loss mechanism beyond just sticking their finger in the air or executing the order when you ring up to say “what’s going on we should have sold”. If they don’t have a mechanism then you will need to develop one, but in order to develop one you will have to discuss it and establish a meeting of the minds on loss taking….which brings me on to the next issue. Keeping in touch – Brokers should keep you in touch. Weekly, Monthly, Quarterly. Part of a broker’s function is to be your eyes and ears on your investments. To keep in touch with what’s going on for you and part of that function is to have some mechanism for reporting to you what’s going on, a mechanism beyond the phone. Its no good you ringing up saying "We've lost 20% on XYZ, why haven't you called me". Many brokers give you website access to your portfolios which are maintained on their “back end”. But the interested broker will be prompting you for action when needed because he knows that to properly manage your stocks you need to go outbound to the client when timely, not wait for the inbound call at any time.He also knows that keeping in touch will generate more trade to his benefit, not in a churning way, but in a professional way. It will generate vigilance and highlight trades that need to be done (cutting loss makers). I used to send my trading clients a “picture” of their portfolio cut out of Microsoft Excel. It is quite an effort to maintain these manually but there are ways to do it. Some clients got them daily. Others less often. It depends on how much trade they did. A picture paints a thousand words….portfolio snapshots scream “Success” or “Failure”, “Buy” or “Sell” and they prompt action and for the broker, commission and that generates their interest. Does your broker report to you? If you don't get regular contact use specific emails. Not "How is it going" but "What are we going to do about XYZ because we seem to have got it wrong?" Not calling– One of the worst complaints about brokers is the fact that they don’t keep in touch. I am one of the worst. I am so busy every day. My advice to you is don’t wait for your broker to ring you, don’t expect them to ring you. You ring them. If your broker is any good he/she is busy. That’s a good thing. They are switched on. In touch. Active. Far worse a broker who has got the time to ring you and prattle on about the weather or Janet Yellen. Another reason for you to take the initiative is that it is quite tough as a broker knowing when to ring a client. Most people are not ready to drop what they are doing to talk stocks on a random basis. It is far better sometimes if you ring them when you want to talk stocks. They are ready to talk stocks all day. They don’t know when you are, but if you ring you obviously are. It is also a good idea to ring regularly, reliably, at the same time of day each day or week is good. People like “predictable”. Get on the front foot as a client. If your broker is any good he won’t ring you but he’ll be very happy you called. Avoid brokers preaching long term investment – Unfortunately the finance industry has a well accepted creed. Long term investment. And to help its case it has declared that you cannot time the market. They have latched on to a couple of old academic studies saying that timing the market can’t be done. That it is time “in” the market not tim-“ing” the market that counts. But that suggests that we sit in the market all through a bear market and wait for the recovery. But in 18 months in the GFC the market fell 54.5%. In order to recover its highs it would have to rise 119%. If the market rose at the average return of the last 50 years of 9.5% pa it will take us 8.5 years to recover the high. Add on the 1 ½ years we spent losing the 54.5% and you can see that not bothering to time the market has cost us 10 years of going nowhere. Time is more than money because time is irreplaceable. Not bothering to time the market has been a very expensive exercise. So if we want to save ourselves ten years of going nowhere it is clear that occasionally, just occasionally, we are going to have to time the market. That may disturb some people, financial planners, fund managers, accountants, financial advisers and brokers in particular, but the truth is that timing the market has to be attempted. Making a judgement and taking a risk is why we’re here and the finance industry would do well to embrace it rather than hide in the cliché that you can’t. Brokers generally do embrace it. They see that as their role. What did you buy and when and did it go up. If the finance industry is going to survive, if it is ever going to differentiate itself from the execution only alternatives, it has to have to have a stab at it. At timing. At telling people “when”. You need a broker whose job it is to give this a go. A broker that doesn't hide in then oldest stock market cliche of all time…"That it'll be alright in the long term", that you "Set and Forget". It doesn't mean you don't set out to be a long term investor. You can still set out with the best of intentions. The difference is that you don't "forget", you don't think it'll be alright in the long term, you don't declare yourself a long term investor and think that absolves you from ever doing anything again, that you recognize it might go wrong and you keep watch, you check regularly and you do something about it when your long term investments prove to be bad investments. ABC Learning and Babcock & Brown were long term investments once. Someone has to keep an eye out for you and the right broker will. So when you want to know whether your broker is any good focus on someone who attempts to time the market, someone who does not hide in the “long term portfolio” approach to investing. Someone interested in more than fees, trails and product sales. A "long term" approach is camouflage for not doing anything post sale, not protecting you from losses, it is an excuse for inability and laziness. You need a broker who is focussed on making you money and that means focussed on not letting you lose money as well. Making the client money is the core principle of a broker/client relationship. Not outperformance, that means nothing to a retail investor. Make a client money, look after a client and the money will look after itself. Any broker worth his salt knows that he has to make you money or he will not make money. If he makes you money he does more trade, he earns more money and you go off and tell your mates how good your broker is and he gets more clients. 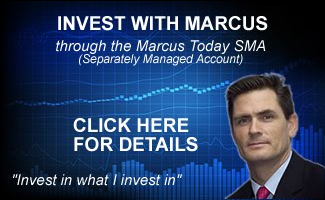 A broker that sets out to make himself money out of your commissions….won’t. So ask your broker what they think about long term investment. If that's all they profess then you maybe need to demand something better because the truth is any moron can put you into a portfolio of stocks in the long term, it is something you can do yourself. The value comes from someone who is prepared to do what you aren't skilled, interested, or bothered to do….to take responsibility for what happens next. Point and figure charts. I have a colleague who has relied on his charts for 40 years and still swears by them. He doesn’t consider anything else. He appeals to the long term investor who respects a man who has been sellotaping graph paper to the same stock chart since 1961. Price breakouts. I met a successful trader once who did a lot of work every day identifying price breakouts on increases in volume and jumping on for the next few days. Any technical trader will tell you that you can buy and program software to filter for any indicator you might design. This is plain vanilla stuff but the skill is in separating the false signals from the credible signals and being quick to trade them. It is momentum trading and trend following. Some of the most established techniques for picking stocks are based on trend following. It works in this case because of the vigilance of the user, the discipline of stops and the experience to know when to play and when to play golf. A custom technical indicator. This chap had a single custom built line on his chart that dictated to him whether a stock is a buy or a sell. I don’t know what the formula is but I can’t believe its that simple. But it didn’t matter. The value he added was that he knew exactly what to do and did it with conviction which sells well on the phone. However erroneous the formula. Because of that he did a lot of business and came over well to his clients. Offering certainty is half the game in selling anything, even if it is a charade. Consensus earnings. Another colleague took consensus earnings numbers and developed an excel model with a variety of inputs that spat out an exact value for the underlying stock. It wasn't correct and he knew that. But in the process he got a feel for which way earnings were trending and became sensitive to that trend which was enough to deliver a bit of an edge on the market and indicate the “trend”. Something other people do through charts. He just did it through earnings. Noticeably he scoffed at technical analysts to which my argument would be that at least technical analysts are up to date to today, whereas his consensus numbers were always behind. Fundamentals. This is where most brokers profess their skill to be but over the last 35 years I have become more cynical than ever about the value of fundamental based recommendations. When you see how badly the world got everything wrong in the GFC you really have to question the value of acting on research recommendations with no respect for sentiment. There are so many things that can go wrong. Apart from the error inherent in assumptions (who really knows where the currency, metal prices, interest rates, anything is going to do) there are the problems that most research is based on what a company tells you (only the good stuff) and that all listed companies have brokers that do work for them (BHP would have 30) and these brokers publish research. They are “marketing documents” at best. The issue of bias is a serious one in our industry and pages of disclosures make no impact on that. Broker research is influenced by a multitude of factors and the core requirement of the reader “to make money” comes a lonely last in order of priority. So I read research to learn about the company and to learn about what drives the stocks and what assumptions you have to guess to get it right. There’s tremendous value in the research. But if your broker professes a fundamental approach you had better hope he/she has their brain engaged before they pump you the front page without questioning its motive, value, appropriateness and weaknesses. Inside information. There are more than a few brokers who think this is their only “edge”. Finding out things before the rest of the market. I worked for years with a very experienced prop trader (a proprietary trader – trading the firm's money). His famous quote is that “I cannot tell you what I would be worth if I had never ever been told any inside information….MILLIONS probably”. Seat of the pants. There are many brokers who do nothing. They simply facilitate trade and on being pushed for an idea will sell the latest idea to hit their desk, ideas that usually come from the morning meeting or the published research. Their real skill is to be able to forget everything they recommended and everything their clients hold the moment they log off for the night. Moving averages (MACD, oscillators, envelopes). Trend (Bollinger Bands, Cirectional indicators, Parabolic SAR). Traders like to know all about all of these indicators and in so doing identify stocks that are triggering the same signals in a number of indicators at the same time. Rarely will these indicators work in isolation. Many traders tweak the standard formulas of these indicators in their software to suit their “style” and through their software they sieve the market each day for stocks that drop out. Then there are the religious disciplines of Candles, Gann, Elliott Wave and Fibonnacci. A great friend of mine in London has traded the principal book of a major UK bank using Elliott Wave principles for over 20 years. He swore by it. He believed that everything happened in predictable “waves” and he always traded the third wave. He was also a prop trader or “proprietary trader” for Credit Agricole. He called them debit Agricole as after years of trading they closed his department to stem the losses. It was then that we worked out that the formula he had programmed into his HP12C programmable calculator (very flash in those days) had a flaw in it that went unnoticed for decades. Bottom line is that either you or your broker needs to be adding value to the probability that you will make money trading. That means giving you an edge. If brokers were to do it properly they would teach you a disciplined style of trading that involved limiting your losses and letting your profits run. Instead you are much more likely to get a plethora of soon to be forgotten stock tips with little responsibility for the aftermath. But it is the aftermath that counts. It is the management of the post purchase performance that will separate you, and your broker, from the losing majority. Know what is going on yourself. Watch your stocks yourself – monitor your own portfolio (all the time). Find some way of doing that without the initiative of your broker. Be proactive. When something is going wrong RING. Don’t wait for anyone else to call the ambulance. These simple lessons will save you a fortune. 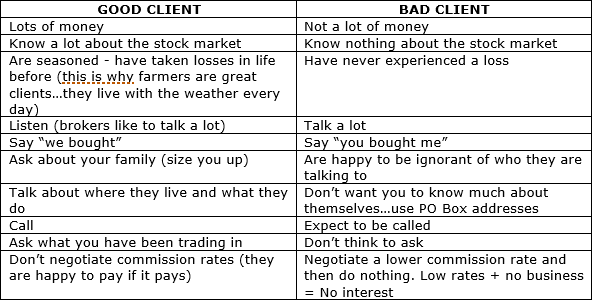 There are crap brokers out there…but watch out…it may be that you’re a crap client. Expect services….not easy money….that can only come when you have trust. If you use a broker, you have to show an interest and take the initiative with him and your investments. The truth is, if you’re not really passionate and interested then you maybe should just settle for the average returns of managed funds after all. Brokers won’t do any better, they’ll just put you in less stocks (more risk) and then ignore you if you ignore them. The best broker relationships develop beyond execution and advice to friendship and trust. You can’t do much better than that, as long as it’s coupled with success. Which raises another issue. Most brokers love the industry and will enjoy talking to you if you love it too, and if they enjoy talking to you then the whole thing will click. And if you don’t have a mate who’s a broker then make your broker a mate. Go to our subscription page and enter the Promotional Code MTDEAL and see our prices change.